I've got my wedding dress after less than month I placed ordering. I cant believe that I bought for such a funny price sooooo amazing dress in sooooo good quality!!! Customer service staff was friendly, answered all questions. That's a dress I've always wanted for my weddings, I am so happy! Recommed Veaul 100% ! 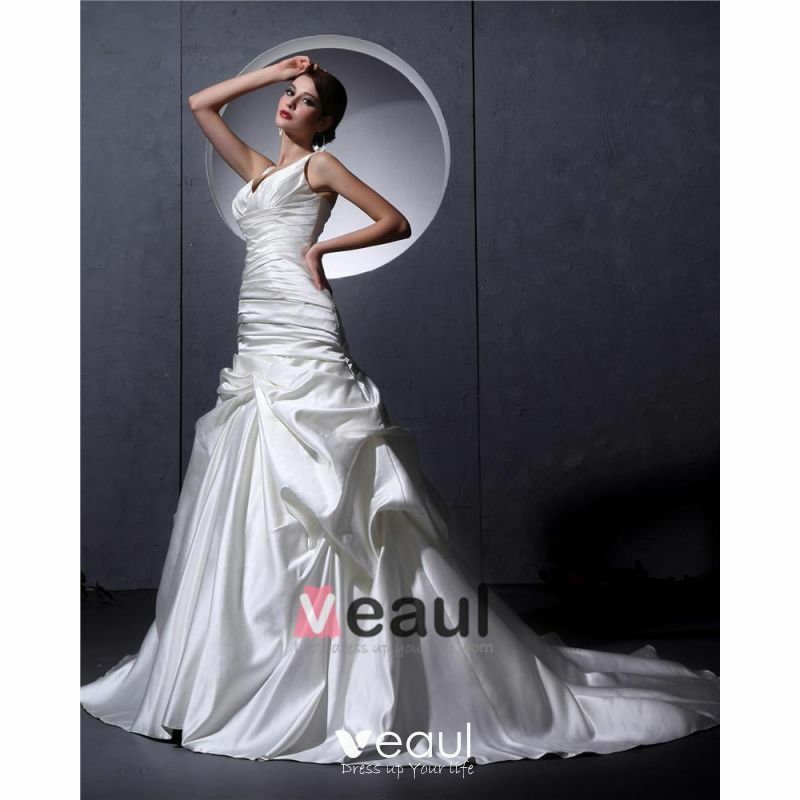 as many other brides out there I was very cautious with buying a dress online. 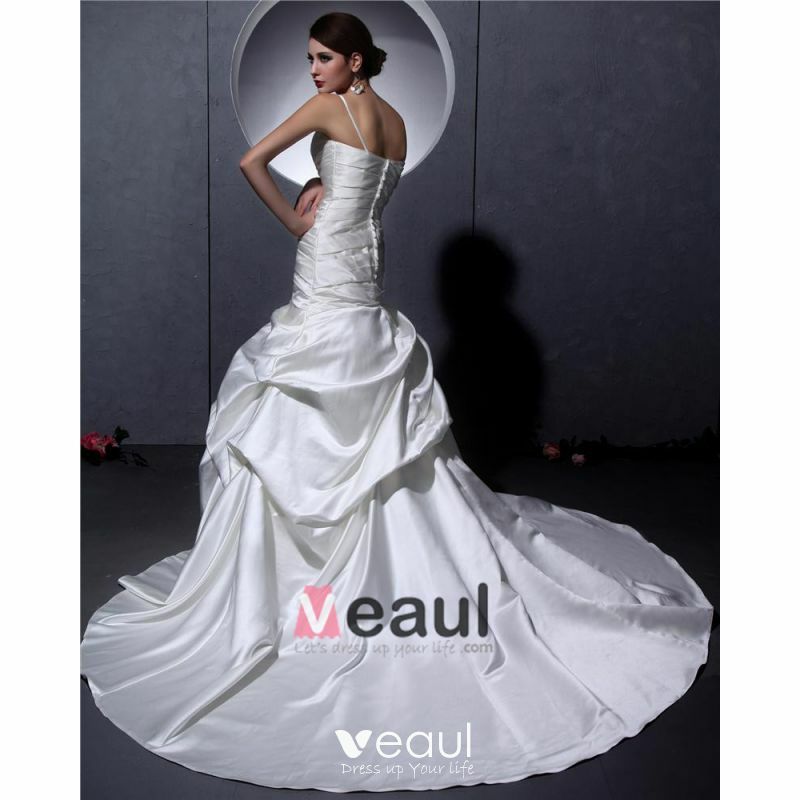 After reading the reviews here and getting a friend to confirm the quality of Veaul dresses I went for this lovely model in full ivory. It was better than in the photos - I loved the intricate details, the way it made my waist look so much smaller, it was holding perfectly in place hugging in all the right places and was so comfortable I did not even change into the second dress I had for the night! 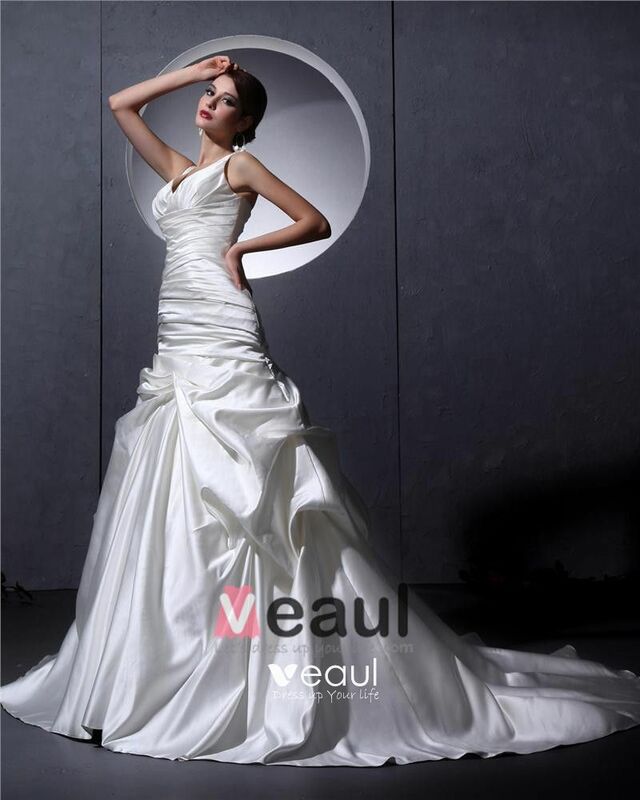 I highly recommend this dress and Veaul, it arrived within 3 weeks and was custom made. The veil I have also ordered here and it was perfect to match the dress. I will be back for other dresses and thank you for making me feel so special on my wedding day! Ich war zunächst etwas skeptisch hier zu bestellen. Man hört ja immerzu schlechtes von solchen chinesischen Shops, aber da mir die Stiefmama meines Verlobten - die Näherin ist - diesen Shop empfohlen hat, weil die Kleider hier gut vernäht/verarbeitet sind, traute ich mich und bestellte dieses Kleid für die große Hochzeitsfeier. Die Lieferung dauerte nicht lang und man konnte dierekt an der Haustür den Zoll abwickeln. Das ist für mich ein Pluspunkt, denn zum Zoll laufen und dort ewig warten, ist nicht gerade angenehm als arbeitender Mensch. Das Kleid ist total schön! Super verarbeitet, keine abstehenden, krummen Nähte etc. Ich hatte nach Maß bestellt und es saß! Kein herumrutschen, kein unangenehmer Stoff und es war so wunderschön. Ich epmpfehle allen Bestellern hier jedoch ein bisschen kleineres Maß zu nehmen bei der Talie, denn es gibt eine Schnührung. Ich hatte es genau passend, aber es mussten die Schnüre etwas schnaler umgenäht werden, damit es hübsch hinten aussieht, weil ich auf die engste mögliche Schnürung geschnürt werden musste. Dennoch: Gerutscht ist hier nichts und es sah gut aus :D Ich habe viele Komplimente bekommen zu dem Kleid. 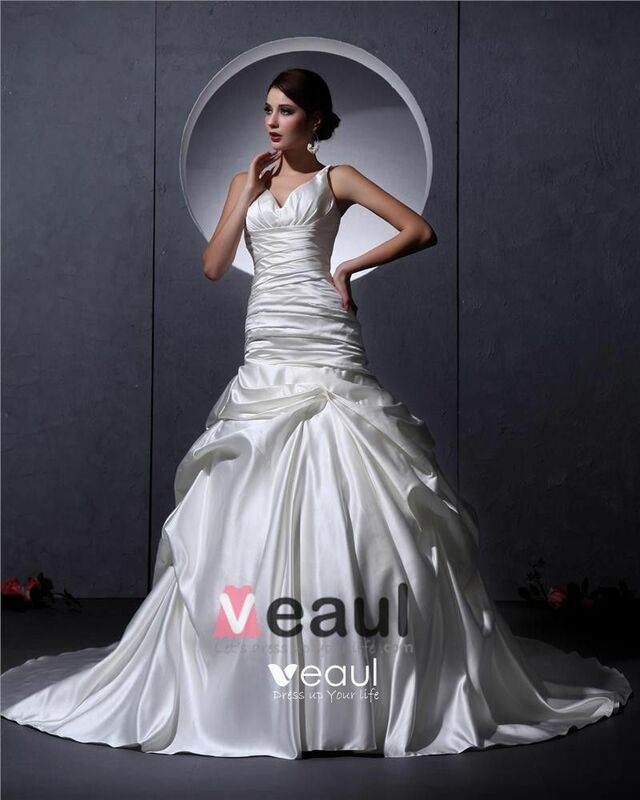 I couldn't be happier with the customer service, pricing and quality of my wedding dress bought from Veaul. Being a bride on a budget, I was a little nervous about ordering a dress that I had never seen and knowing that I would not have the opportunity to try it on. I felt I was taking a massive risk, and have to admit to feeling very apprehensive when I pressed the purchase button on check-out at Veaul. 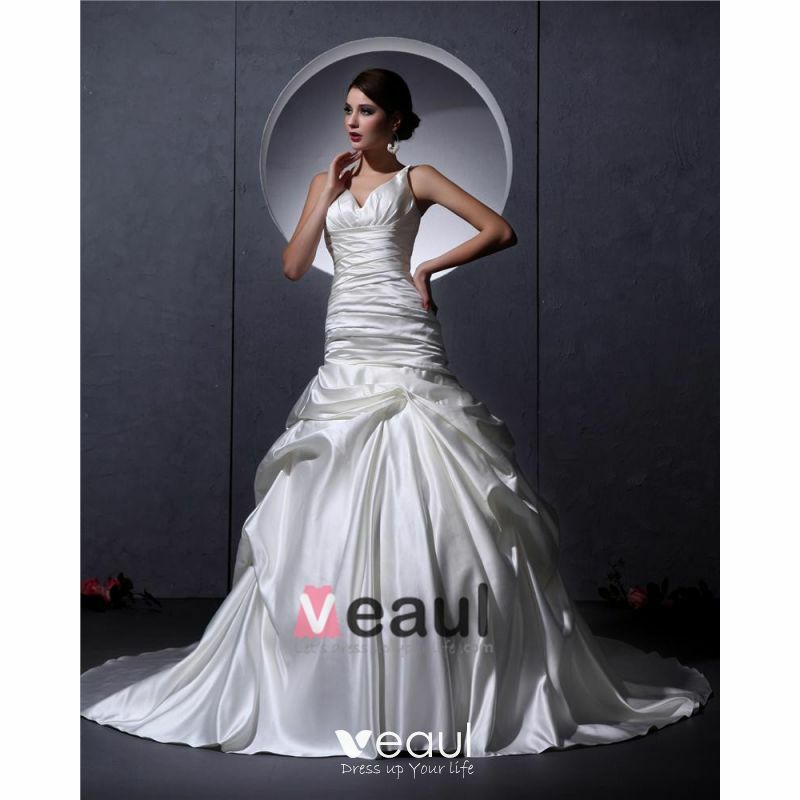 Therefore when I received my dress (very quickly), I was completely overwhelmed by the outstanding beauty of such a perfect dress, Veaul had totally exceeded my expectations. Trying on my dress was truly a magical moment, and I knew instantly that it was just what I had hoped for and more! I was (and continue to be) amazed by the intricate design and attention to detail. The dress was an absolutely perfect fit, and I did not need to make any alterations - another massive saving! I purchased the petticoat in addition to the dress, and this complimented the several layers of material, preventing me from stepping on the dress and creating the full shape I had wished for. Following a heavy night of partying and having been dry cleaned, my dress is still in 'like-new' condition, meaning I'll be able to keep my dress for years to come. I'd like to thank Veaul for adding to my perfect day with this perfect dress. I was so happy, I even returned to the site to buy my wedding shoes, which were also fantastic value and perfect in every way! I have recommended several friends, family and work colleagues who have since had equally pleasing experiences of your service and products, and I will continue to do this in future. I love the wedding dress you made for me! It's top level quality. General speaking, your products and services deserve positive feedback. Thanks again. Absolutely loved my gown!!! No one would ever believed I only paid $200 for it. The beading and laced work on this gown is so intricate and detailed. I could only imagine how many hours of stitching it took to create. 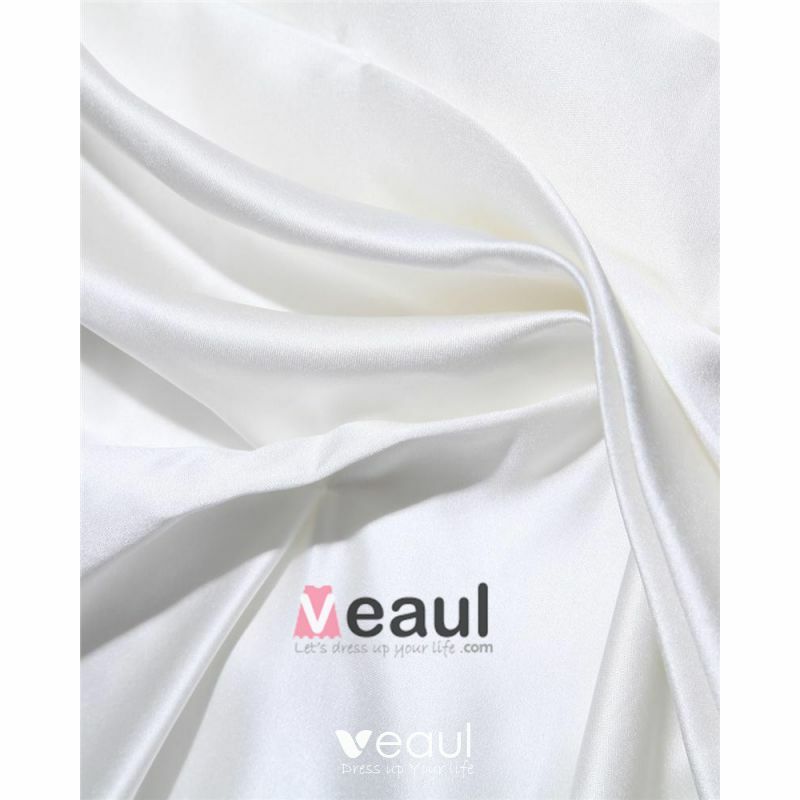 Yet, Veaul shipping processing is soooo fast that Im amazed that each gown is hand stitched and custom made in such a brief period of time. True talent. I recommend maybe adding a A line petticoat/slip to make the bottom tulle pop a bit. May also help if the dress length is a bit longer then desired. Customer service here is spectacular! They quickly answered any questions or cocerns I had regarding my purchases. 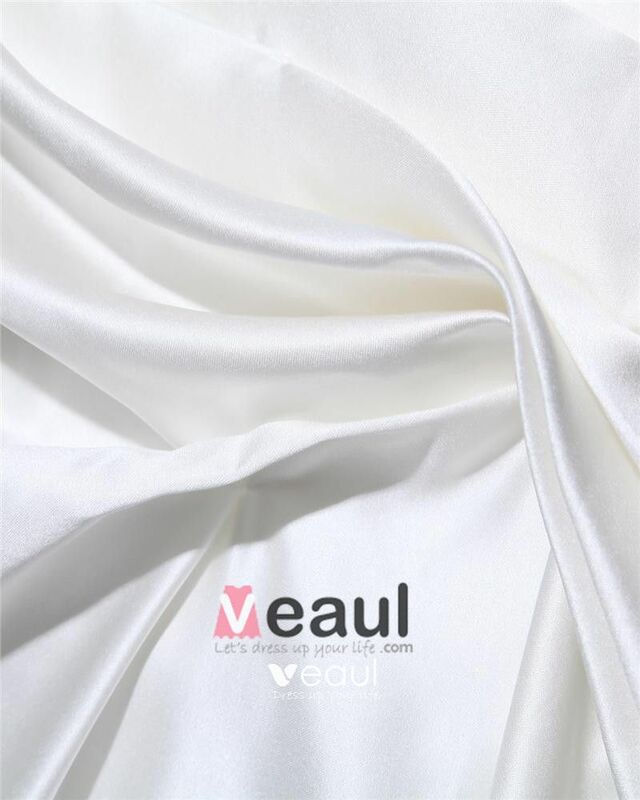 I will definitely be ordering more formal gowns with Veaul and I have recommended them to many of my friends. I was wed in February.........high wedding season.